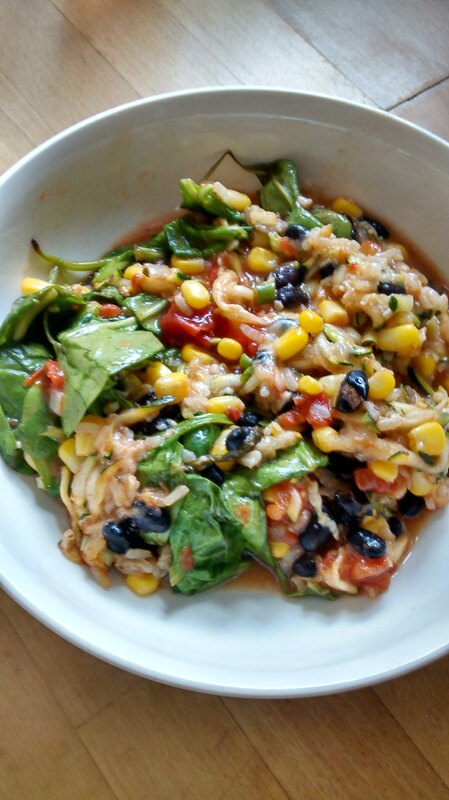 The original recipe has very clear instructions, with some step by step methods for pre-cooking some of the ingredients, so head over to http://greenvalleykitchen.com/rice-black-bean-casserole/ for the how to. I couldn't be bothered with the step by step bits, so I just threw everything in a large casserole dish, stirred well, and baked at gas 5 for 50 mins, stirring half way through. It was very tasty indeed!